Experience the local gastronomy in the Almyrida Resort. Our chef will make sure that your experience will be a memory to remember. 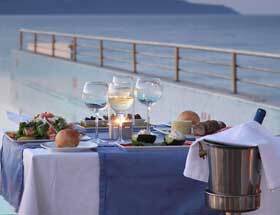 Choose between the Thea a La Carte Restaurant, for a romantic fine dinning, or the Restaurant in the Almyrida Beach or Almyrida Residence for a dinner buffet based on traditional dishes. For your hunger during the day, our snack bars are ready to serve you. Accompany your meal with a wine from our extensive wine list. 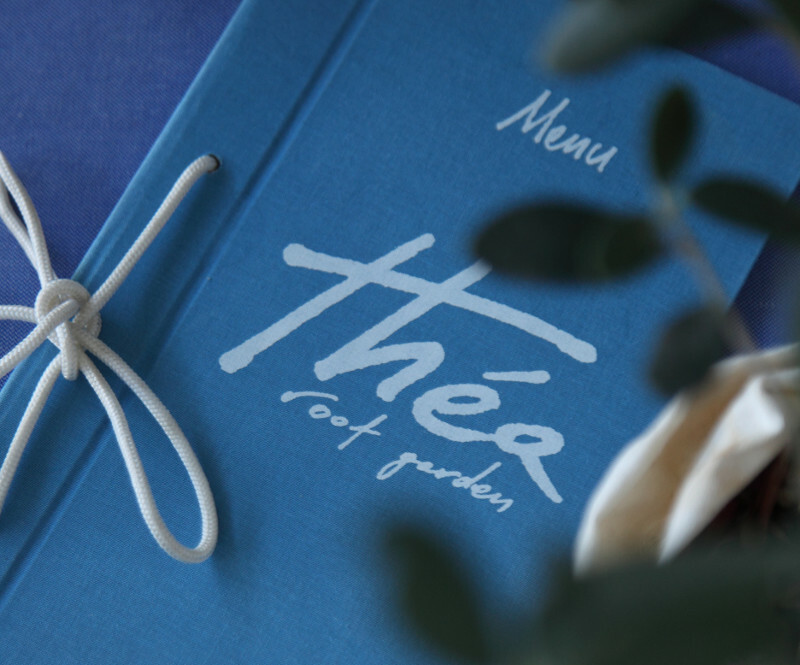 In the third floor of the Almyrida Residence Boutique Hotelyou will find the “Thea” Roof garden. “Thea” is a wordplay, meaning both “view” and “goddess”, for the obvious reasons. It has a very nice view, and it is simply beautiful. 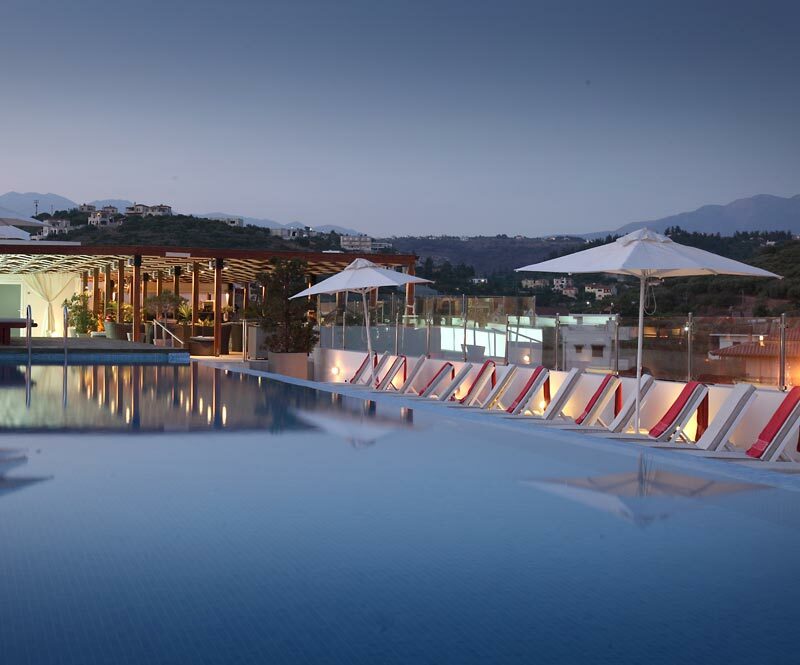 The infinity swimming pool on the roof is a shallow swimming pool, excellent to enjoy a drink, to relax and gaze on the beautiful bay of Souda and Almyrida and the magnificent view on the “Lefka Ori” (The White Mountains). 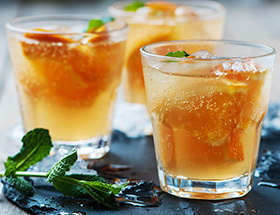 During the day, you can enjoy refreshing beverages, cocktails, ice creams, and tasty snacks. In the evening the Roof Garden changes its style, and the a la carte Restaurant opens introducing you to a delicious Cretan and European gourmet cuisine. Accompany your dishes with a wine from the extensive wine list. The sunset behind the rocky hills in Almyrida is an experience that should not be missed. The Roof Garden is simply the best place to organize live events. 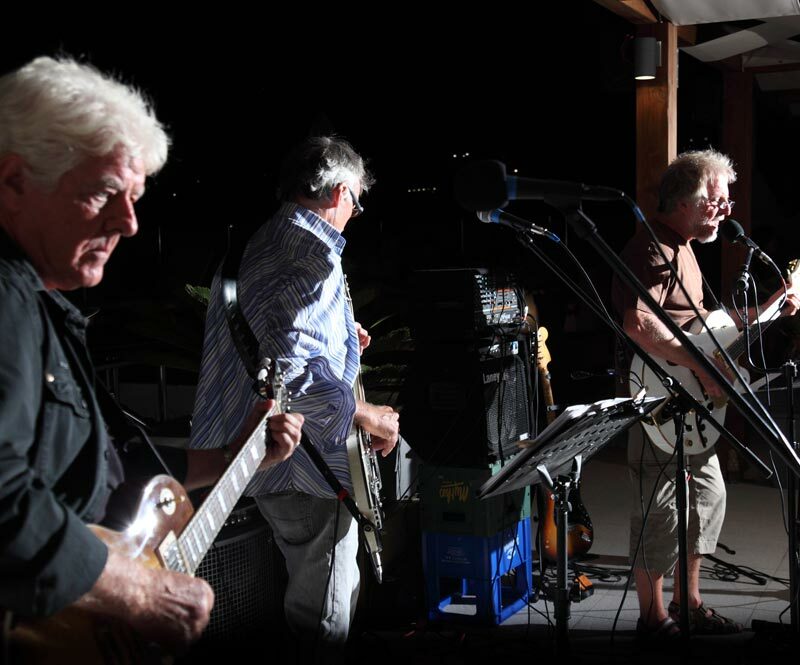 From Saxophone evenings, to piano nights and rock gigs. You can always check our calendar for the events organized during your stay. 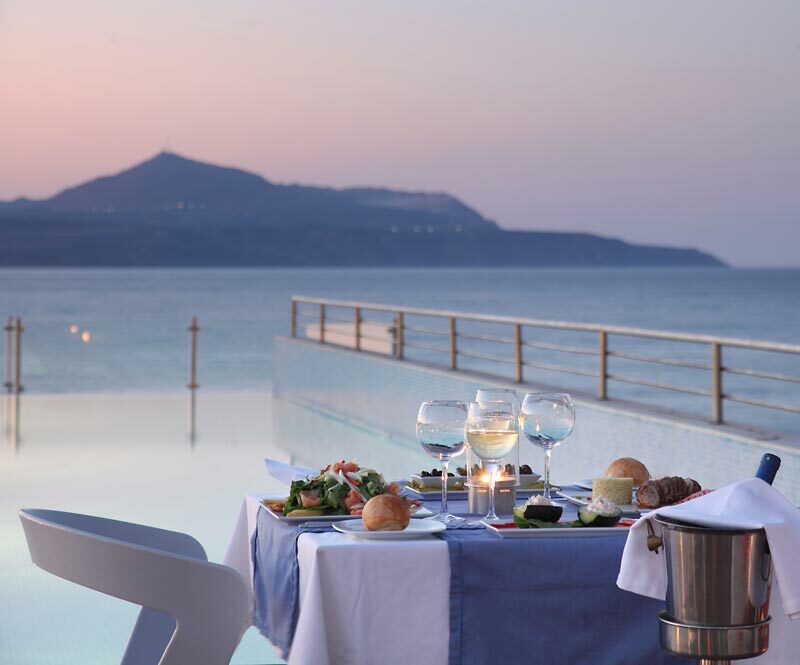 Ever dreamed of fine dinning by the sound of a saxophone, over a glorious sunset with a great view on the cretan sea? A fine blend of ingredients, a beautiful surrounding and our Chef’s expertise ensures a menu of high quality and excellent taste. Choose between our range of salads, with an extra twist. Traditional appetizers served in a creative way, Tender veal Fillet, Chrispy Duck Fillet, juicy salmon fillet, Caramelizer Pork Belly, a sea treasure pasta, and a fine selection of Greek and International Wines.